Every year we do a family costume and this year we decided to do Beetlejuice. 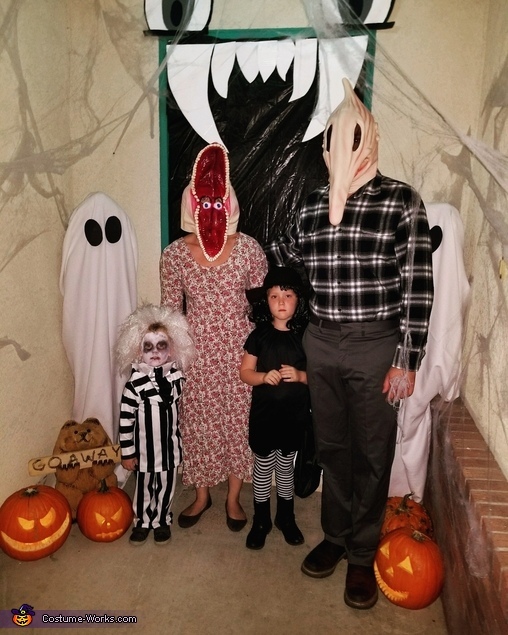 My two-year-old son was Beetlejuice, my five year old daughter was Lydia, and my husband and I were Adam and Barbara Maitland. I got my son's costume online, and I did his make up. I got the Adam and Barbara masks online. The rest of the costumes I found at thrift stores.